Manufacturer of a wide range of products which include pure cotton printed traditional look kurtis and kurti. 2:-stylish pattern with print. 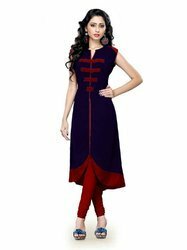 . .
Dis is the pure cotton fabric kurti for the women.